Yes! ZipBooks does support PayPal. You can also use our partners, Stripe and WePay, in order to process credit card payments for free. But PayPal doesn’t give us a volume-based discount, ZipBooks charges a 0.5% fee to process PayPal payments on top of the fees that you pay to PayPal. 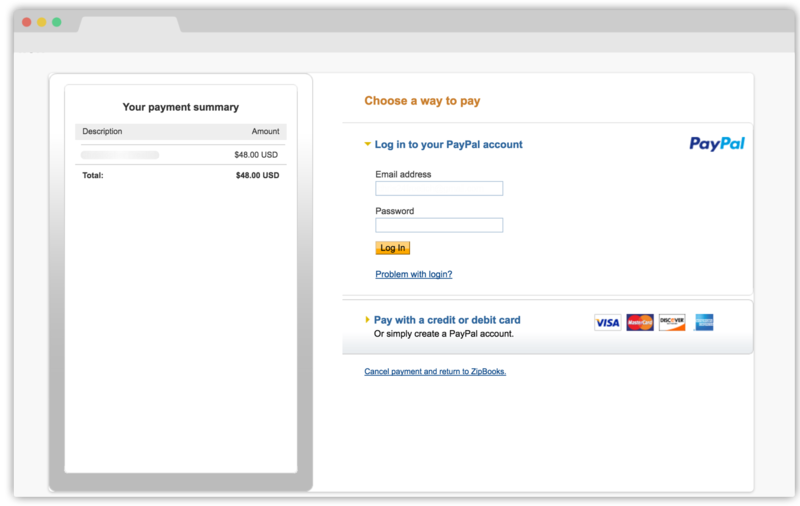 To access Paypal, Stripe, and WePay, get started by following these simple steps. Log in to your ZipBooks account. You will be taken to the main ZipBooks page that shows the dashboard with all your stats. On the right-hand corner of the page you will see your company name. Click on your company name. A drop-down menu will pop up. Click the first menu option, Account Settings. From there, you will be brought to the Account Settings page. This page contains all of the settings for you to personalize your account. There are five main tabs that you can click on. Click on the fourth tab, Accept Credit Cards. You will see three options. Stripe: a leading global payment processor. With Stripe, you can accept debit and credit cards. They charge 2.9% plus $0.30 per successful charge to use Stripe through ZipBooks, with no monthly fee. If you are interested in using Stripe, click the blue Connect Stripe button. WePay: a US/Canada payment processor that allows you to accept both credit and debit cards. They charge 2.9% plus $0.30 per successful charge to use WePay through ZipBooks, with no monthly fee. If you’re interested in using WePay, click the green Connect WePay button. PayPay: Underneath the two logos of the previous payment processors, you’ll see an option to add your PayPal email address. Enter your address and click on the blue Save button, and your clients will be able to use PayPal. At the bottom of new invoices there will be a check box that says Accept PayPal. Check this box if you want the PayPal button to be added to your invoice you send out. After clicking on the preferred credit card option, you’ll be brought to a sign-up page where you can sign up according to the option you chose. Once you’ve connected a payment processor, you can return to the account settings page under Accept Credit Cards and click the Manage button to manage a payment processor. You will get your money back usually within 2–3 business days. 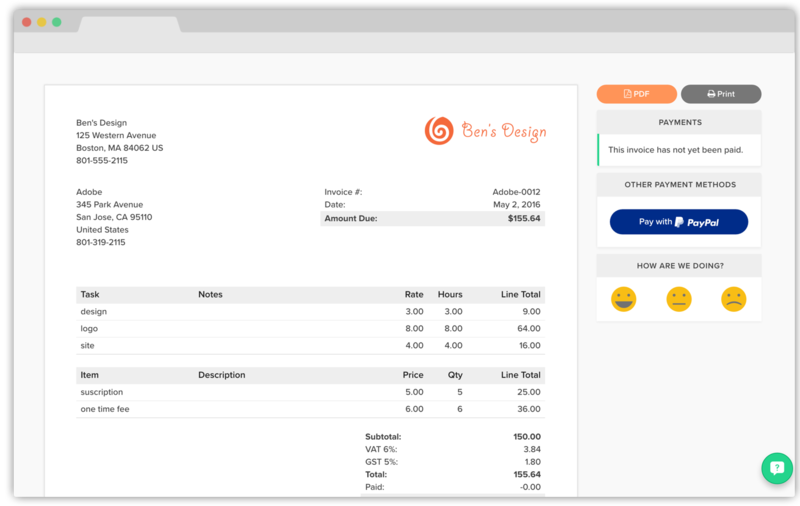 You can manage your payout schedule through your payment processor.